If nutritionists are to be believed, eating healthy isn’t that much of a challenge. All you need to do is deny yourself any sensations of pleasure, all the time, every day, until you're whisked away by the sweet relief of death. But maybe a diet of water, quinoa, and chronic dissatisfaction doesn’t sound all that exciting to you. In that case, here’s permission to start enjoying life again. These surprisingly healthy foods manage to taste good without cutting your life span short, and some are actually pretty good for you. Augustus Gloop may have been on to something. 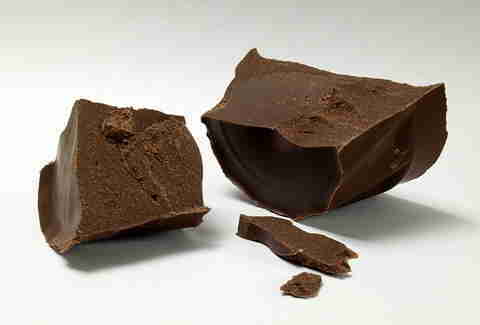 While overindulging in chocolate isn't the best idea ever, dark chocolate does appear to have antioxidant effects. 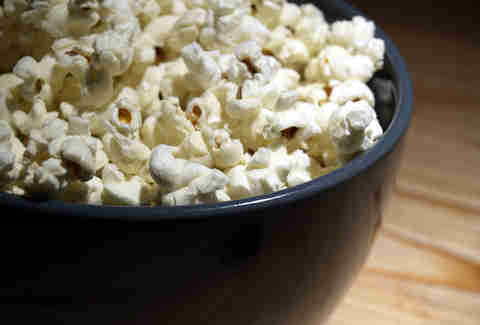 It can also lower blood pressure, improve vascular function, and comfort your soul the night after a break-up. Potatoes won't save your life if you're frying them, covering them in cheese sauce, and giving fate the finger while eating them, but on their own, they're a strong source of potassium. Samwise had the right idea. 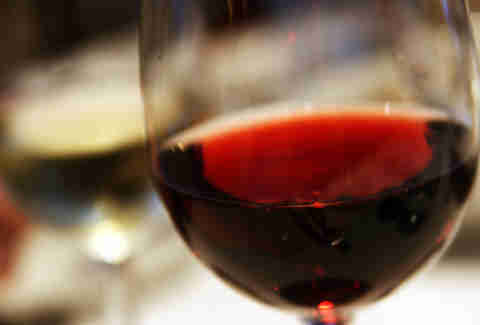 A glass or two of red wine guards against heart disease, thanks to antioxidants. On top of that, science has shown that abstaining from alcohol in general can actually lead to a shorter life span. By this point, it's like, irresponsible not to be drinking the stuff. Oysters offer an almost ludicrous amount of zinc, as well as vitamin D. And they are ludicrously delicious. They are the center of the world's most ludicrously amazing Venn diagram. Chicken's already a good source of protein. Chicken wings are required, by law (basically), to be consumed while watching sports. Throw some wings on the grill -- maybe remove the skins if you want the healthiest option -- and be a proud American. 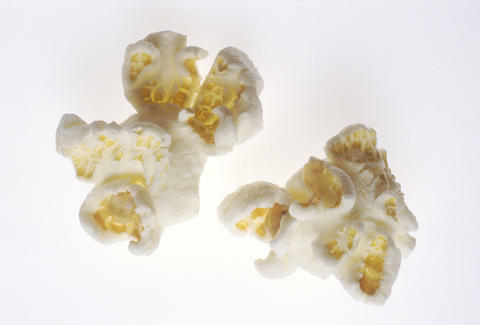 Hey, good news, movie fans: a cup of air-popped popcorn contains 3.5g of fiber. That's actually pretty good. Just know that all health benefits are lost when you order a barrel of the stuff, drench it in movie theater "I can absolutely believe it's not butter," and chow down on it while watching Michael Bay's latest crime against humanity. English muffin pizzas are the best snack ever, and whole-wheat English muffins are high in fiber and low in cholesterol and completely free of trans fats and I can't worry about proper grammar and syntax now because I'm gonna go make some. Before I do that, just a heads up: according to Harvard, whole grains help to lower cholesterol, maintain steady blood sugar levels, and could even protect against some cancers. You just have to pay attention to be sure you get the real thing, since the labeling standards for whole-grain products need some more work. Just make sure you use more beans than meat. That way you'll get a good dose of fiber. And maybe don't throw it on top of a hot dog. 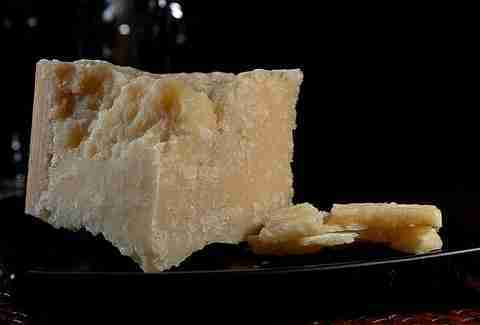 Quality cheese -- that is, organic and grass fed -- is shockingly good for you, offering a hefty dose of vitamins, as well as omega-3 fats, and a whole bunch of other nutrients. Based on what we know about red wine, we can only assume people at wine and cheese events are essentially superheroes. We've already established that alcohol isn't always bad for you. And beer... well, there's a good chance you like it. If you're gonna indulge anyway, take comfort in the fact that 12oz of Guinness contains a mere 125 calories, not much more than a light beer. Those extra calories are definitely worth it. Joe Oliveto is a staff writer for Thrillist and he wants an English muffin pizza. Follow him on Twitter.